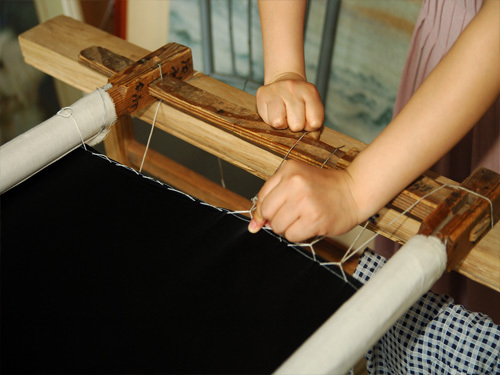 Su Embroidery has 2500 years history in Suzhou.It mainly composes of the pure silk as raw material ⑴ The artisans dye the silk threads with thousand kinds of different colors in their workshop.Embroidery ladies may select the silk fabric and silk threads from there. 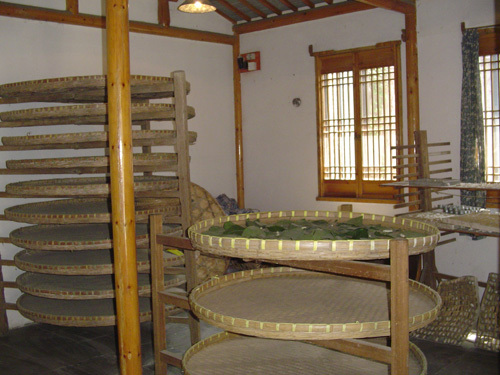 Su embroidery mainly takes the domestic and overseas famous paintings or photographies as the original design and it is all made by hand. 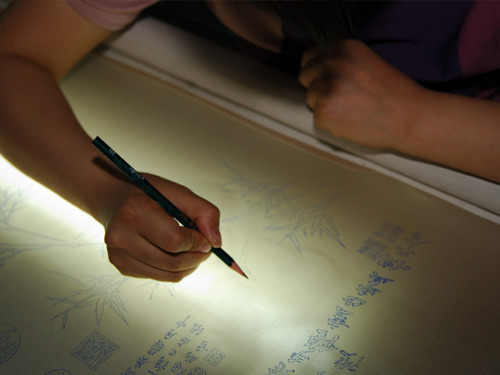 usually cover the finished part with paper in order to protectthe original color.During the process, the quadrangled wooden stretcher keeps the pattern in right proportion.